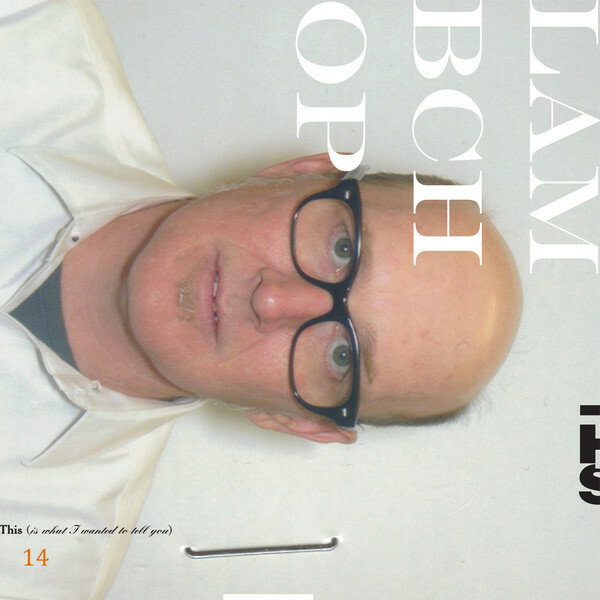 The time has come to stop calling Lambchop "Nashville's most f*cked-up country band." Given the stylistic breadth and ambition of Kurt Wagner's ongoing project, that designation has long been too limiting, as funny as it may be. But since collaborating with the Nashville electronic duo Hands Off Cuba in 2005 and debuting his side project HeCTA in 2015, Wagner has been distancing himself from the organic, twangy chamber pop that had been Lambchop's stock-in-trade in favor of clean digital soundscapes and heavily auto-tuned vocals. Wagner dove deep into electronics on Lambchop's 2016 album FLOTUS, and 2019's This (Is What I Wanted to Tell You) suggests he's not turning back. The smooth, aerodynamic lines of this music, the spectral sound of the distorted and layered vocals, and the implacable snap of the percussion loops mark This as a bolder journey that goes even deeper into Wagner's new musical territory. However, much like FLOTUS, a closer listen reveals this music is still very much in league with Lambchop's previous work. The graceful flow of the melodies, the mingled longing and resignation of Wagner's vocals, and the very human compassion and fleeting joy that is evoked by the eight songs on This draw the listener in. While the tone of Wagner's musical backdrops is often cool and ghostly, it's engaging as well; there's a mildly trippy quality to the production that lends the music the qualities of a dream where the commonplace and the fantastic exist side by side. Percussionist Matthew McCaughan, who has previously worked with Bon Iver and Hiss Golden Messenger, co-wrote five tracks on This and was Wagner's primary collaborator for the sessions. Though there are moments where genuine horns, guitars, or harmonicas are audible on the horizon, Wagner and McCaughan have created a sonic environment that's alien but still full of recognizable heart, soul, and emotion. Like Lambchop's best work, This (Is What I Wanted to Tell You) takes the listener someplace they haven't been before, and in this case that includes the fictive homelands of Nixon and Mr. M, but it's also a place worth visiting. While this is hardly country or f*cked up, it's strange, beautiful, and the sort of thing only Kurt Wagner could create, and we're lucky to have him around.